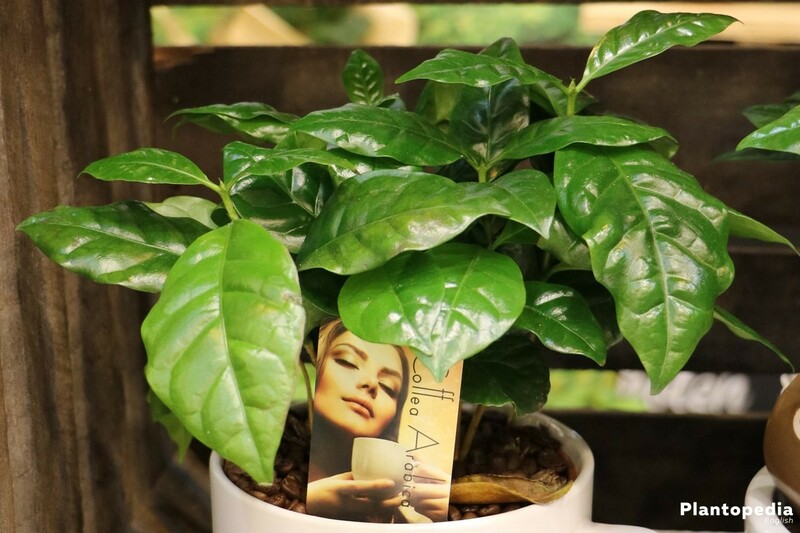 The coffee plant coffea arabica is a rather rare sight inside your own place. Generally, coffee is known ground or as roasted beans. 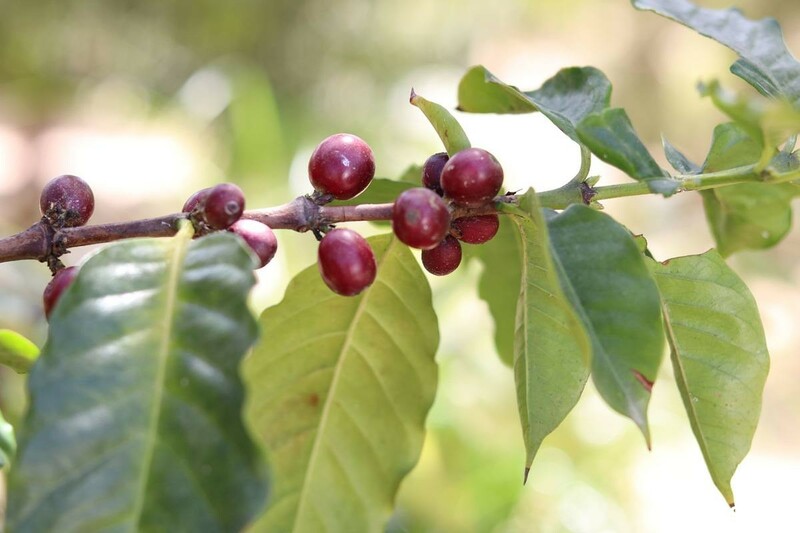 One usually doesn’t see the red coffee fruit unless you own to ensure that the plants produce fruits in the first place, it is essential to see that they are tended to correctly. Coffee arabica, which is usually from south-western Ethiopia, is the economically most important of around 60 species. 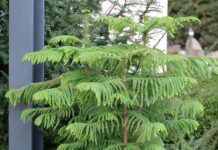 It grows with a single stem as a young plant and gets more and more bushy when it gets older and is cut accordingly. Held in a pot, it can reach heights up to 150cm. 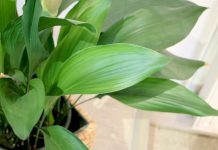 It belongs to the ever-green plants with overlapping vegetation. 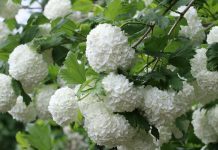 Its radial, pure white and slightly scented blossoms develop in the leaf axil of the side shoots. With according care, the first blossom is to be expected after four to eight years. After successful seed everything that matters is the right tending. 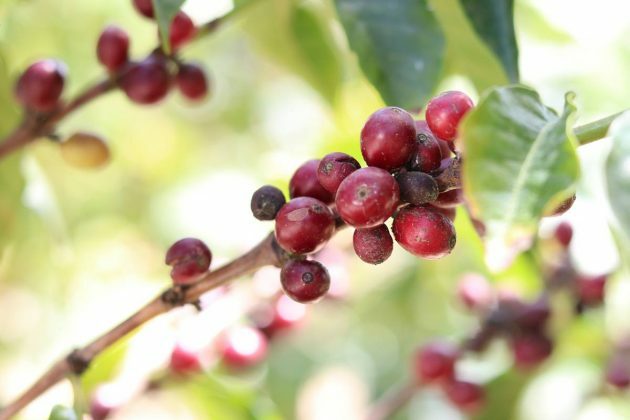 Homegrown coffee can only be harvested, if one manages to get the plant to blossom and the red coffee cherries to develop. For that matter, the right tending is essential. Coffea arabica prefers locations in light to semi-shady locations in aery places, at temperature between 20 to 25 degrees. Direct sunlight should be avoided, especially around noon, since it could burn the leaves. During winter it can be a little cooler. 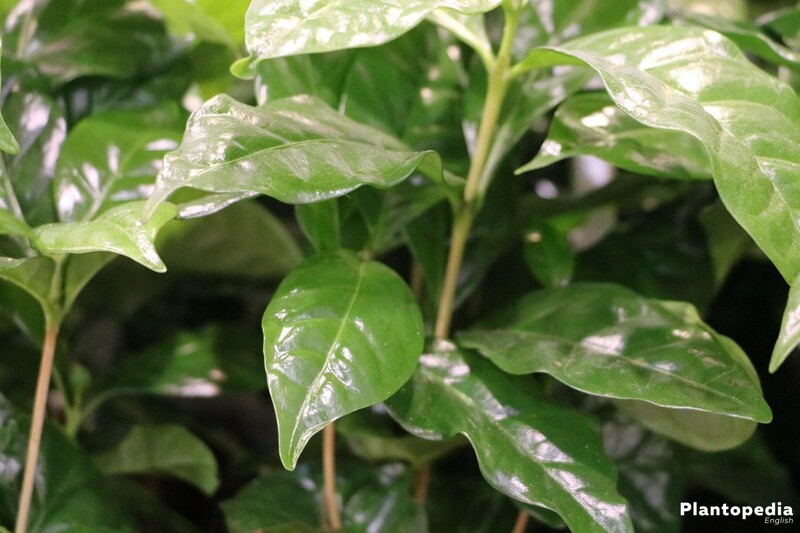 To be perfectly well, the coffee plant also needs high humidity. This can be achieved by a daily spraying. 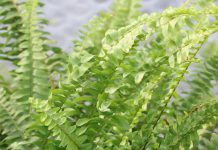 During summer the plant is especially well if it is kept in nature. The soil should be permeable, airy and mainly slightly sour with a pH-number between 5.5 and 6.5. Some hobby growers recommend to sprinkle the soil with lemon juice from time to time. If you don’t do that, flower soil on a compost base or common rhododendron soil. To avoid waterlogging make sure the drainage is good. Additionally, one can add fine cobble or expanded clay. The base for the harvest of homegrown coffee are healthy and strong plants. 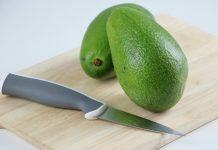 Crucial for a propagation is the degree of freshness of the seeds, because their germination ability usually vanishes four weeks after the harvest. First of all, the actual seeds need to be exposed. For that cause, crack the seed shells of the red berries. Around the seed, there is a small silver skin that has to be removed. After that, one puts them into 25-30 degrees Celsius warm water, maybe overnight. To prevent the water from cooling down to much, one could use a Thermos bottle or one covers the water container and puts it onto a radiator over night. Now the seed can begin. 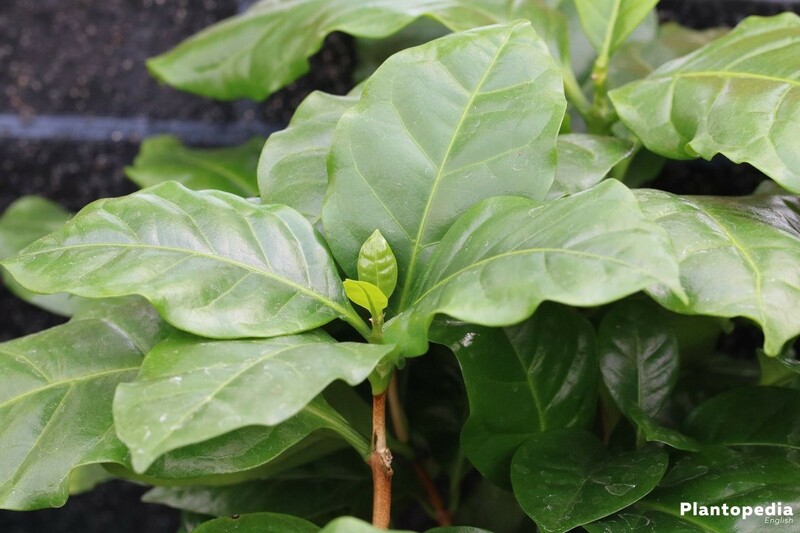 Coffee plants are poured plentily from spring to autumn, young plants need more water than older ones. The soil should at any time be slightly moist and never dry out completely. Prior to every pouring, it is recommended to let the upper layer of the soil dry. The plant does not like neither waterlogging nor dryness. During summer it might be sensible to pour a little more often or more plenty. Water in the saucer should be removed after half an hour. Best use chalk free or chalk arm water to pour. From March/April to September, the coffee plant wants to be fertilized each fortnight. 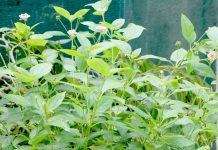 For this matter, it is recommended to use an organic complete or liquid fertilizer. In contrast to mineral fertilizer, this makes sure that the soil does not get too salty. 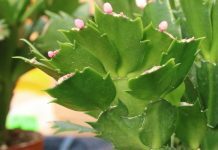 Newly bought or freshly repotted plants shouldn’t be fertilized in the first year. 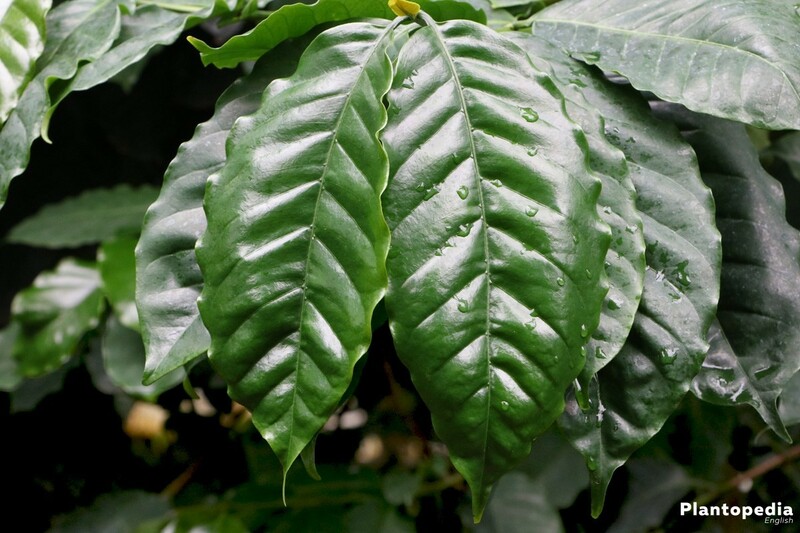 Coffee plants tend to develop strong roots and are generally very quickly vegetating. Accordingly, they need to be repotted to bigger pots regularly. Early spring is the best time for this cause. Although pruning back is not mandatory, a regular cut can prevent out-of-hand vegetation and bleaking. The best time for any kind of cut is early spring. A bushy vegetation can be achieved by shorting the shoots. 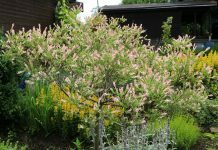 If the plant is too big, a specific pruning back is the right measure. Shoots that are quite bleak already should be radically pruned back, too. Ideally, you cat in a way that the plant always gets enough light from any side. 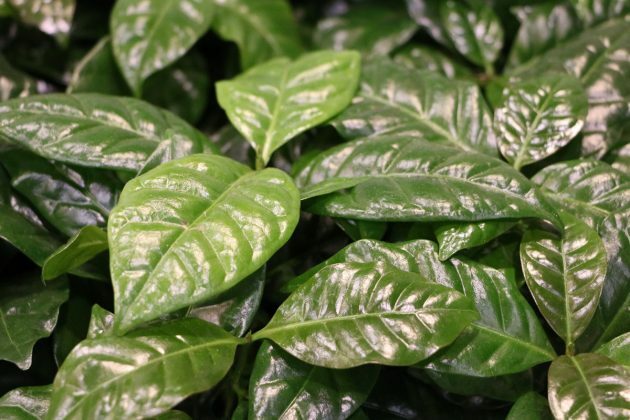 As soon as it gets colder outside, you take the coffee plant into the house. From October to March, it is in a dormant phase, even if it is kept indoors the entire year. Pour less often in the colder season. Still, there should be a constant moist of soil and the plants should be sprayed with water regularly. That is, to make sure the plant does not get sick during hibernation. During winter, the temperatures can be a little lower, around 12 to 20 degrees Celsius. The amount of pouring water are to be adapted to the temperature. The colder it is, the less water you use. The location should still be light, but not too close to a radiator. After hibernation is the best time to cut the plant. 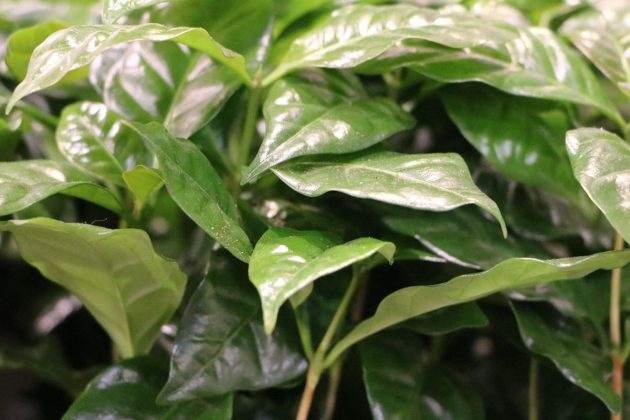 Those who already own one or more coffee plants can increase the number of them through scions. For a straight growth of the new plants it is sensible to take the scions either from the highest shoot or a medium level shoot. If you cut off a side shoot, this usually keeps its tendency to grow sideways. Until the roots start to shoot, it usually takes a couple of weeks, given that the soil does not dry out. On the other hand, it should not be dripping wet at any time. 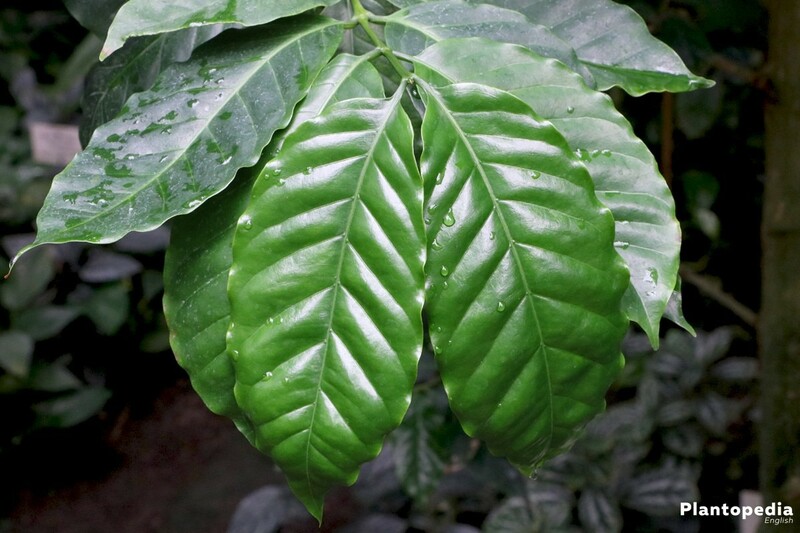 On the common market you only find plants of the variety coffea arabica ‘nana’. 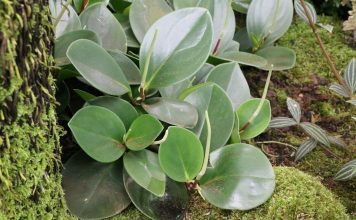 This small-growing sort is a very attractive room plant due to its bushy growth and its shining light to dark green leaves. If treated accordingly, it can blossom after a couple of years and develop fruits. 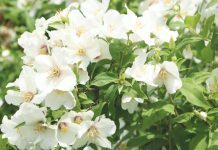 The white radial blossoms show up in summer or autumn and scent slightly of vanilla. The plant is self- pollinating so there is no need for a second plant. 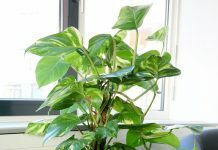 If the plant loses a leaf from time to time there is no need to worry. However, of more leaves than usual fall down, the reason might be a bad location. For example, draft and high differences in temperature can cause the falling of leaves. Another reason might be that the soil is constantly too wet. 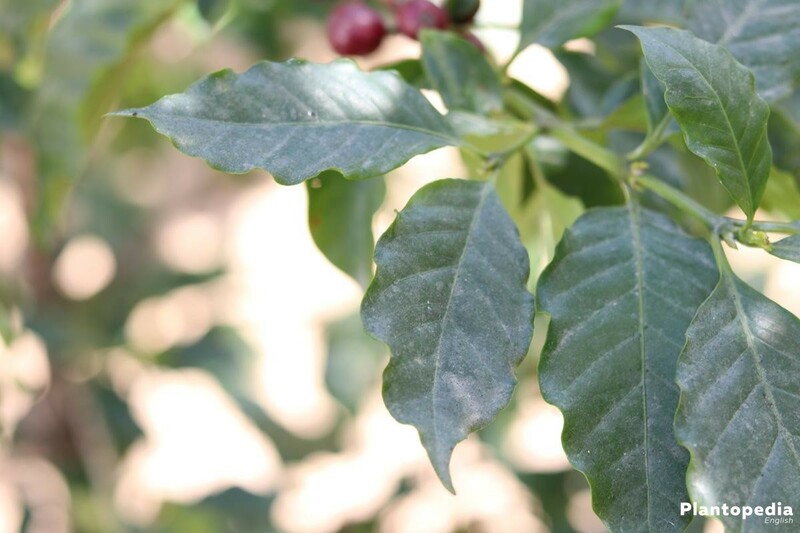 Brown leaf stains are often caused by too much sun, which can cause burns on the leaves. If the stains are slightly yellow, there might be a short of iron or manganese. In this case, an according fertilizer should be chosen. If you are not clear how to choose our fertilizer, just ask in the store. 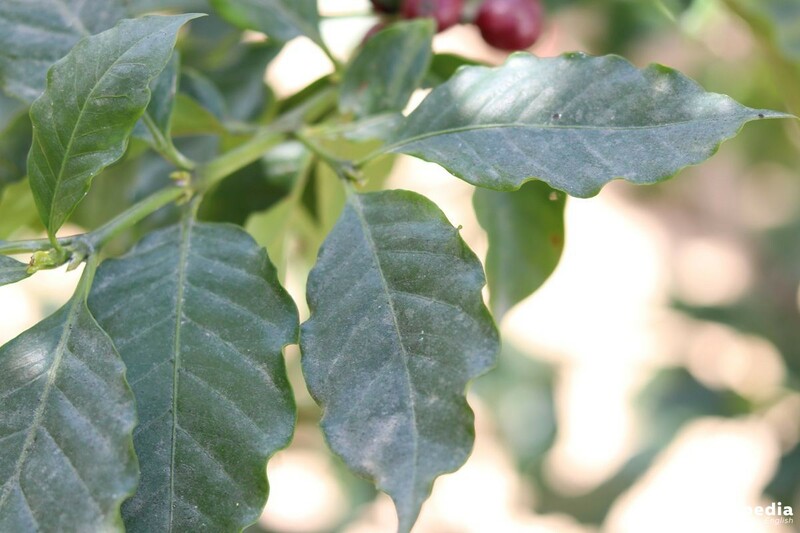 Coffea arabica is not too vulnerable concerning vermins. However, in bad conditions like a too warm or too cold location and dryness of air and soil, pest infestation is possible. That happens usually during winter and can be recognized through small brown scales or bumps and sticky honey dew, the excretions of the vermins. 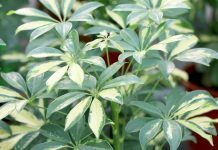 To effectively fight the scale insects, you can put a mixture of soap, water and alcohol onto the leaves on a daily basis until the plants are healthy again. 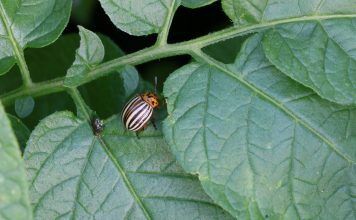 Against scale insects you can use for example microterys flaucs or ladybug grubs. The fine gossamers of this vermin are found mainly at too dry or too dry air, too. The leaves can decolorize into yellow a little, as well. 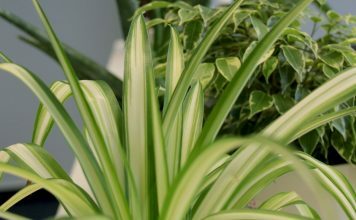 For combatting purposes, shower the plant thoroughly, spider mites hate moistness. Additionally, you can use phytoseiulus persimilis who gorge on spider mites at any age. 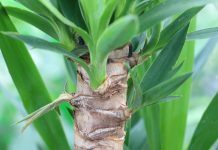 To make sure the phytoseiulus persimilis can develop and spread you need temperatures around 25 degrees Celsius and a humidity of 75 percent. If that is not sufficient, stores offer anti-spider-mite liquids on a canola basis. Under ideal conditions, the plant flowers after four to eight years for the first time. From the ovaries, green, slightly gray shaded berries develop. Until these berries are ripe, it takes another couple of months. The green berries are inedible. If you do not want to grow the plant yourself, you can purchase them in store. 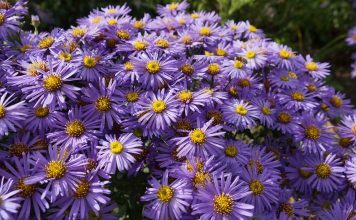 If you choose to do so, make sure the plant is 20-30 centimeters high and the pot in which it lives has a diameter of at least 12 centimeters. If the pot is too small, it might cause malformation of the roots which handicaps the plants in its growth. 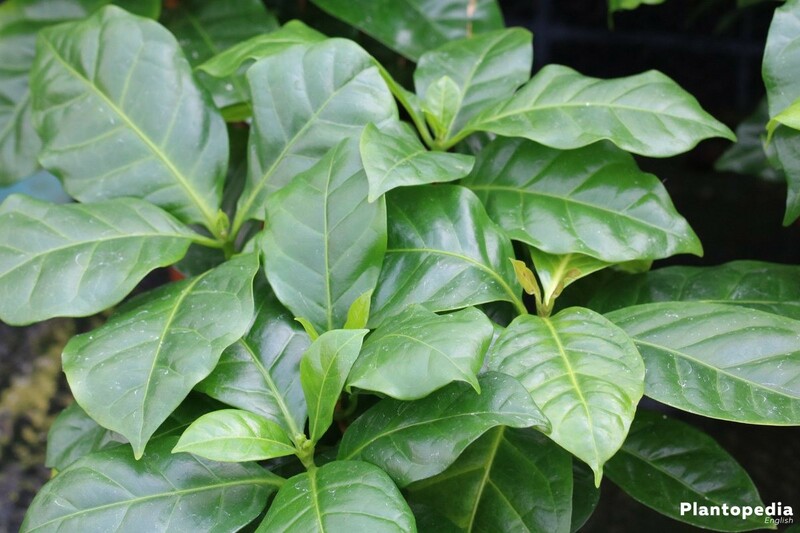 Also, you should remember that coffee plants grow very bushy and sweeping and can reach heights of up to 150 centimeters. Accordingly, you need enough space. Under no circumstances the plant should be confined. 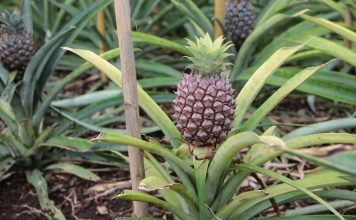 Only this way, and with the correct tending of course, the plant can develop well and yield fruits eventually. But even if the latter is not the case, this ever-green room plant is very decorative.